FEATURES & OPTIONS: Options ranging from an 4-page 5.5″ x 8.5″ ‘zine to a full-size 500 page 8.5″ x 11″ full bleed catalog. We can handle custom sizes and bindings too. We can print, collate, fold and bind your catalog or magazine, giving you a professional piece to distribute to clients and fans. Want to finally put all of your products into a print catalog? Ready to publish a magazine? Need a multi-page program for your conference, production or event? Whatever your needs, we have a product that you can customize. 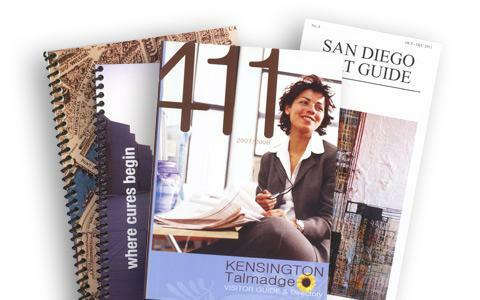 Rest assured that every catalog and magazine we print features precise collation and folding as well as saddle-stitched, spiral or perfect binding for a professional look.